The wedding planning is done, your flights are booked, and you’re eagerly daydreaming about your big trip. 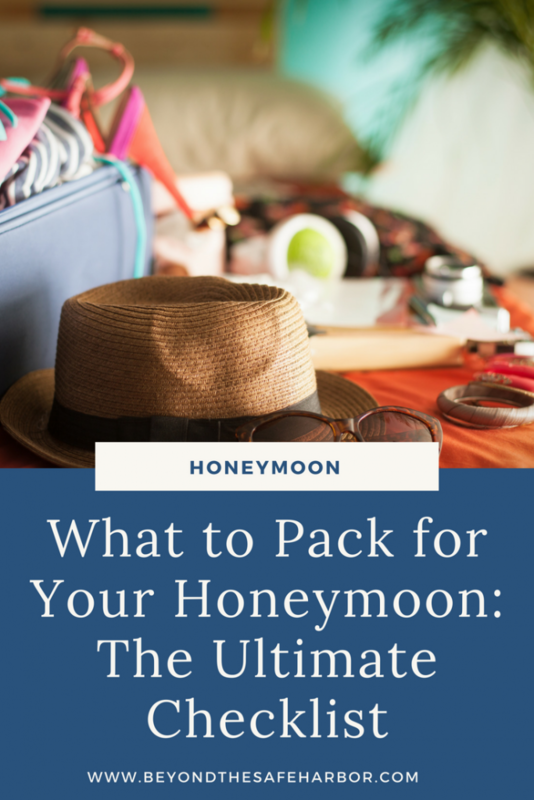 But do you know what to pack for your honeymoon? And are you really in the mood to do more wedding-related work to make a comprehensive packing list? Don’t worry – I have you covered! I made this packing list for myself a few weeks before we left, and it was a life saver. I printed it out, and packed a little at a time, always able to know what was already in my suitcase and what I had left to pack. So with no further ado, here is my ultimate packing checklist! I put it together for a summer vacation, but if you’re going somewhere cooler, just make sure you bring any activity- or weather-specific items you’ll need. Want to download a pretty printable copy of this checklist? Get yours FREE in my resource library! Once you’re in, you can find the checklist under the Planning and Productivity section. * Consider packing these items in your carry on. Don’t forget to grab your printable copy. Get yours FREE in my resource library! Check out these other relevant posts. Leave me a comment below and let me know where you’re headed for your honeymoon! I’d love to know. 🙂 Wishing you safe and happy travels!